What Is The Chinese Liquor Baijiu? Baijiu (白酒 báijiǔ), pronounced “bye-joe” literally means “clear liquor,” is a category of at least a dozen Chinese liquors made from grain. Baijiu is the #1 most consumed spirit on the planet, over 1.5 billion gallons of baijiu were sold last year for a total profit of $23 billion. According to a report released by the International Wine & Spirits Group, baijiu production accounted for a third of all alcohol produced around the world in 2012. 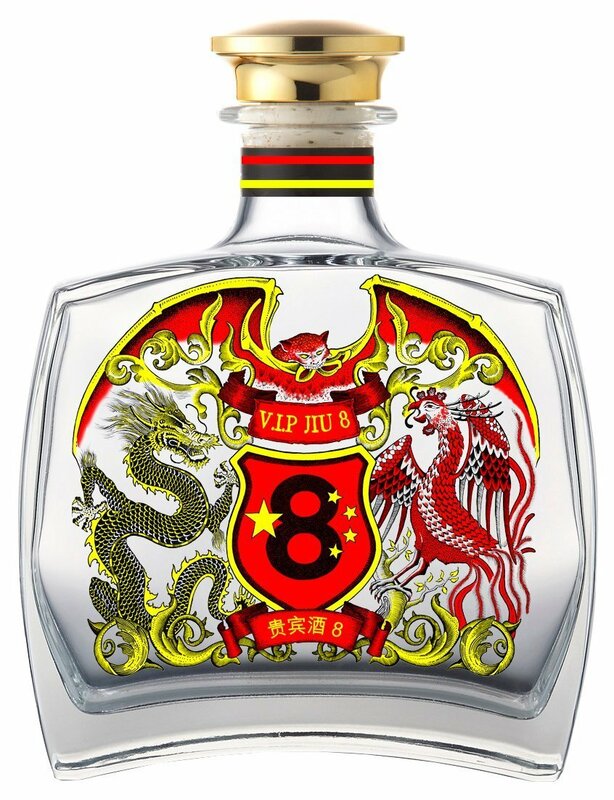 A defining quality that is common to all premium baijiu is the ABV of 50% plus. Today, there are 14,000 distilleries producing baijiu, according to a report by International Wine & Spirits Group. Baijiu is China’s national drink. Baijiu can be classified into the one of the following flavour categories: strong, light, sauce (soy), rice and mixed. 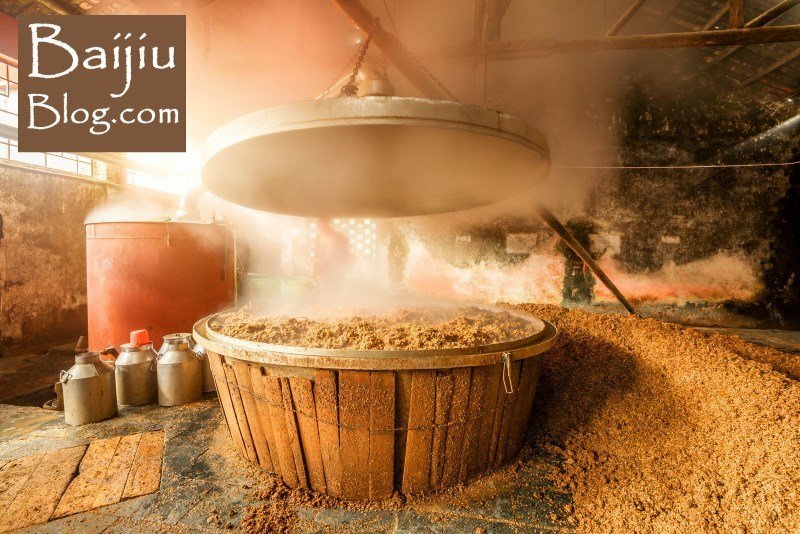 The production of baijiu involves five major steps, materials preparation, daqu (大曲) making, alcoholic fermentation, distillation, and aging. Baijiu is typically made by mixing steamed sorghum grains, water, and a special fermentation agent called Qu (pronounced “chew”). Qu bricks or balls are made using damp grains that are left in a warm place for about a month until they grow yeasts, fungi and other microorganisms. Qu was invented during the Han Dynasty around 200 A.D. to make huangjiu, or “yellow wine.”. The liquid is strained from the mash and distilled using giant steamers. Read more on Baijiu Qu. Baijiu is typically aged in clay pot containers stored in cool temperatures or sometimes in pits depending on the region and aged for anywhere from a month to 30 years. The Qu makes the taste of each region’s baijiu distinct. Each distillery’s strain of Qu is a closely guarded secret. The Maotai’s strain is even protected as a state secret, part of China’s cultural heritage. In China. Baijiu is usually made to compliment the regional cuisines. 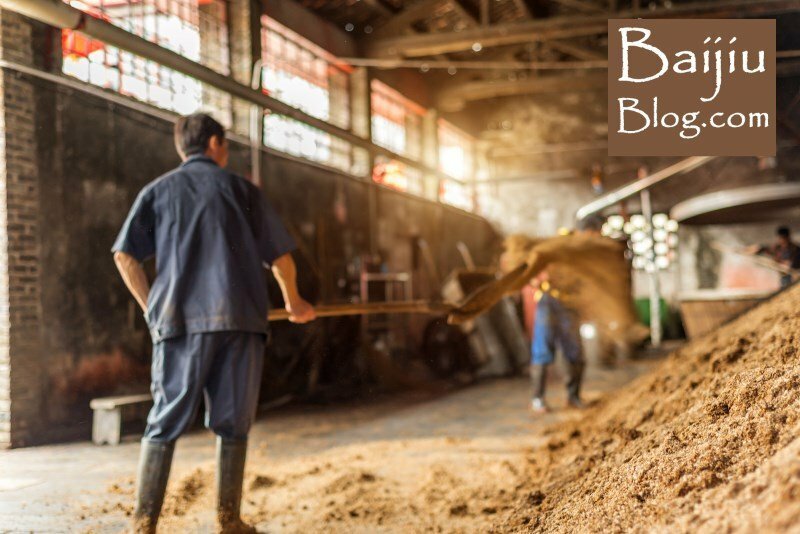 Read more on How Is Baijiu Made? The earliest known evidence of human alcohol production is from Jiahu, China, where people started making wine from rice, honey, and fruits 9,000 years ago. 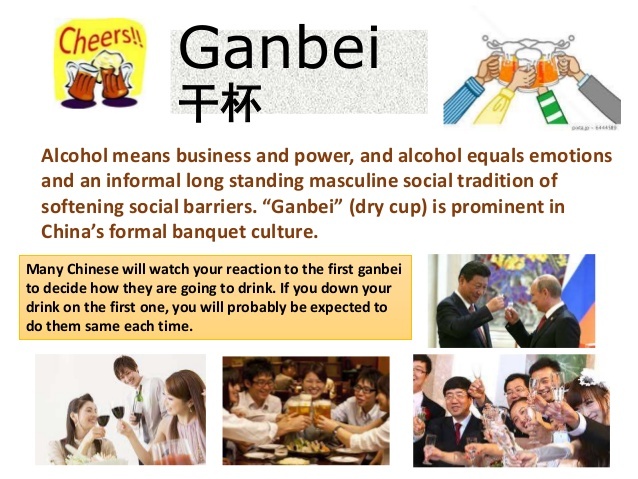 Alcohol was considered to be a luxury in ancient China, it was used by the political and religious elite to commune with the spirit world, as a part of various rites, during important state banquets, and as a prestigious gift. As a National Geographic article suggests. It was not until foreign distillation techniques were introduced to China during the Song or Yuan dynasty that baijiu appeared. Baijiu has a verifiable history of over 600 hundred years, but a variety of historical records indicate that it has been central to the Chinese culture for much longer. Some scholars suggest that elements of what makes baijiu today have been in existence for over 2000 years. However, it is difficult for researchers to describe exactly when baijiu was invented. Baijiu is distinct from Brandy, Scotch Whiskey and Vodka because of its use of distilling yeast during the distillation process. 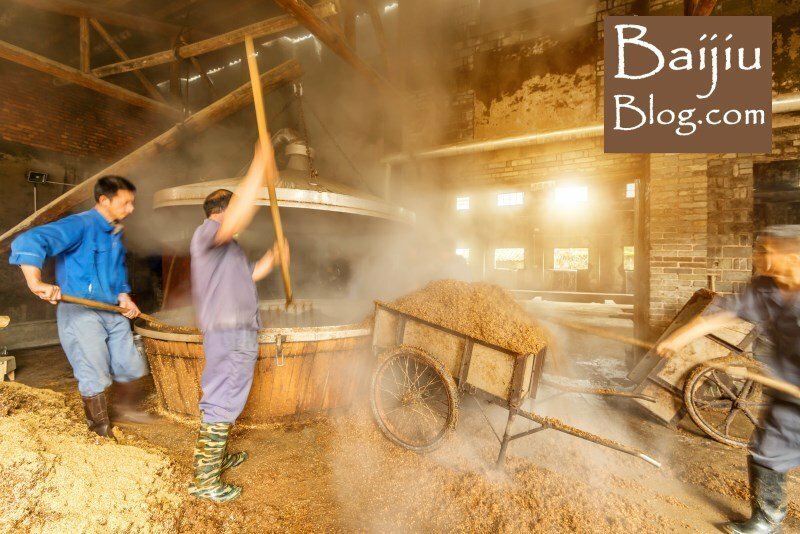 It is also the only one to use solid grain material in the fermentation process. Read more on Baijius History. A common misconception is that baijiu is a single type of alcohol, but varieties of baijiu can be as different as whiskey and gin. Principally, there are four categories of baijiu, classified by scent (香 xiāng): Strong aroma (full bodied, spicy, fruity), light aroma (light, floral, slightly sweet), sauce aroma (umami, mushroom, earth) and rice aroma (light, clean, honeyed). “Sauce Fragrance” (酱香 jiàng xiāng): this type of baijiu requires a good deal of resources and labor, and it is fermented in underground pits. Its taste is said to resemble that of soy sauce, and it is closely associated with the southeastern Sichuan and northwestern Guizhou provinces. Sauce fragrance is said to compliment pickled foods (酱菜 jiàngcài). “Strong Fragrance” (浓香 nóng xiāng): this is the most popular type of baijiu, and has a fiery flavor with a faint sweetness. It is fermented in earthen pits, and made with either a single or multiple types of grain. This type of baijiu has strong ties with the Sichuan province, and some areas in eastern China. “Light Fragrance” (清香 qīng xiāng): this type of baijiu is distilled using sorghum and rice husks and fermented in ceramic jars. Barley and peas used in process to five it a mild sweetness. It is most common in northern China. “Rice Fragrance” (米香 mǐxiāng): usually made with glutinous or long grain rice, this variety can sometimes incorporate Chinese medicinal herbs, fruits, or tea leaves. It is mainly produced in south China. It has the characteristics of soft sweet flavor and clean aftertaste. This type of baijiu contains primarily β-phenethyl alcohol in balance with ethyl acetate and ethyl lactate. Drinking culture is very important in China, and the ritual of drinking baijiu is typically an important part of building and maintaining relationships. Baijiu is served in shot sized glasses and used during toasts to show respect and build relationships. Baijiu in China is consumed straight at room temperature always with meals, during celebratory banquets, such as weddings, funerals, holidays, and other events. But an important reason for its ubiquity is how embedded it is in China’s business culture. Business deals are often forged with a bottle of baijiu. In China Baijiu is usually be downed in one gulp, and then the glass should be held upside down, to demonstrate that you have finished. Though exceptions are sometimes made for those not accustomed to baijiu potency. If not consumed with food, it’s infused with fruits and traditional Chinese medicinal ingredients. To the unfamiliar palate, baijiu can smell and taste quite strong. Quality indicators: The harmony of the flavors, strength and smoothness. If your new to baijiu its recommended you let each sip of the baijiu slowly move through the whole mouth, starting with the tip of the tongue, then moving onto the sides, and finally reaching the throat. The most expensive bottle of baijiu ever sold is a 1935 Lay Mau that went for RMB 10 million ($1.5 million) in 2011. During the Tang dynasty (618-907 CE), poets such as Li Bai mentioned a spirit called shaojiu in their writings. 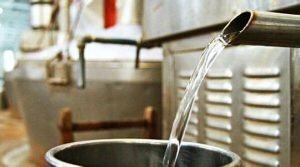 It’s possible that shaojiu’s distillation techniques and ingredients were similar to baijiu, but we can’t be sure. China has thousands of baijiu producers that make some 20 billion bottles – yes, billion – in a typical year. That’s enough to fill 4,000 Olympic-sized swimming pools. During the Chinese Civil War, Chairman Mao Zedong and his Red Army used baijiu to sterilize their war wounds and calm their nerves. Baijiu is stronger in alcohol than both Japanese shochu and Korean soju. Generals and warriors drink Baijiu before going into battles. Philosophers drink Baijiu to connect with their inner wisdom and gain insight of the world.